The Shure Dual Microphone Mount A26M is a mount designed specifically for use with Shure 545 Series, SM57 and Beta 57A microphones. 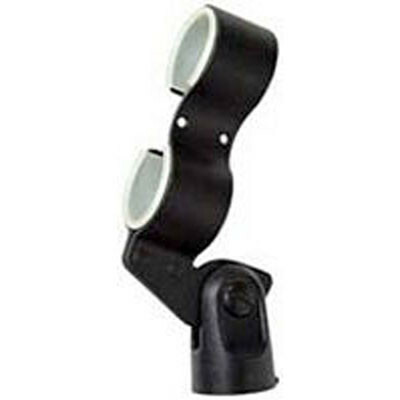 Take advantage of this dual mount's unique design, which allows you to use two microphones in a single mount. Take advantage of this model's unique design to mount two Shure 545 Series, SM57, or Beta 57A microphones with one mount. Box Dimensions (LxWxH) 5.6 x 3.7 x 3.2"